Wool and Wheel: Things I've been loving lately. 1. 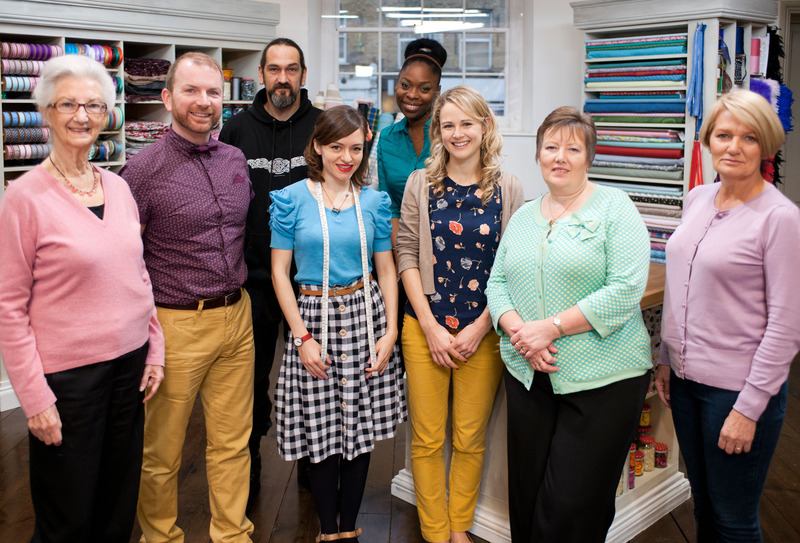 The Great British Sewing Bee. I read where Ashley mentioned this on her blog and decided to check it out. It's so awesome. I watched the four episodes on YouTube and just wish there was more to see! Why can't we have "reality TV" like this in America?? The contestants were great and so different, the Doris Day/1950s soundtrack was right up my alley, and it was just strangely fascinating to watch other people sew. Under a time limit and a lot of pressure. (If I was a contestant, I would want the judges and host to leave me alone instead of being nosy and lingering around asking questions! How distracting! All of the contestants were so patient about it, though. :) It cracks me up how the contestants are like, "I won't look around and see how everybody else is doing. I just need to stay focused." And then the next shot shows them sneakily glancing at their competitors. :) Also, I want a sewing space like they have! A huge room with white walls and hardwood floors and piles of fabric and assorted notions everywhere?? Yes, please. 2. The new Hawthorn dress pattern from Colette! Every time I watch an episode of the Andy Griffith Show with Thelma Lou in it, I am reminded of how much I want a couple of shirt dresses. The last few Colette patterns haven't been to my style, but wow...this one is adorable. It's like a slightly more modern version of Thelma Lou's shirt dresses. :) No gathers or pleats at the waist, which is good because I can't pull that off, anyway. I've already received my copy of the pattern, though I have no idea what kind of fabric I want yet. I really want chambray, but I'm not sure I'll be able to find any locally. Even better, Colette Patterns is hosting a sew along! It's been too long since I've participated in one. Two of my favorite and best-fitting dresses are the result of a sew along, so I have high hopes for this. 4. 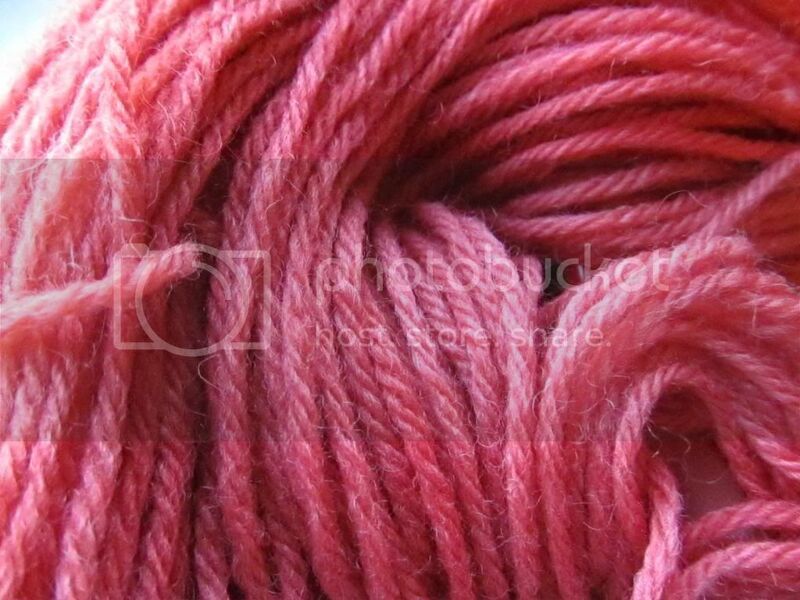 Dyeing yarn with Kool-Aid. I had stumbled across this idea before, but when I saw Meredith post about it, I wondered why I've never tried it. So after a little research, I purchased 15 packs of various Kool-Aid flavors, and over the weekend I experimented a little. Oh. My. Goodness. Dyeing yarn with Kool-Aid is so much fun!! I never want to spin colored fiber again (at least for the moment- I'm sure that'll change eventually :)...I only want to spin white so I can dye it myself in bright colors that smell fruity. A dyeing blog post is coming soon, but here's a tiny peek. I'm excited about every point on this list! Sadly I hardly ever watch videos (only an iPhone at home and the signal does not do video) when I go to a coffee shop I always forget headphones and so can't watch because of noise! I really want to dye with kolaid! Weird!! 2. I love The Andy Griffith Show. I love shirt dresses (even though I don't own one... yet). And that pattern looks absolutely adorable. 3. Yes! Watching it through for the second time is most certainly an enjoyable experience. 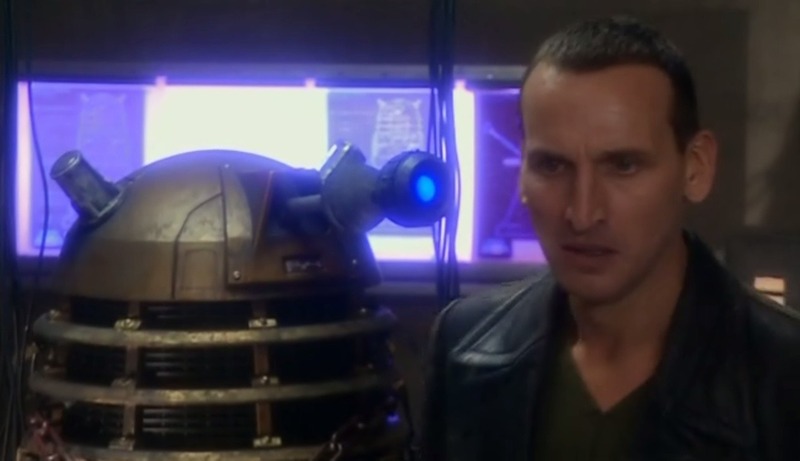 Among other things, getting to quote lines along with the actors is superbly fun. 4. I want to sniff that yarn right through the screen! Strawberry? Close- it's black cherry. Apparently it makes a slightly darker red than strawberry and the other red Kool-Aid's. I'm the same way! I feel like a bit of a creeper for clicking on bookshelf photos to enlarge them...but I really just want to read the spines. :) I like to write about books, but I'm not very good at actual reviews. So I hope this might be a way around that. Oh, good. I'm glad that I'm not the only one who feels slightly creepy and weird when spying on other people's book shelves! You know, I've actually been thinking quite a bit lately about starting a blog. The only thing that's really holding me back is that I've never been happy with my writing skills – or lack thereof – so the idea of writing something and then hitting the publish button (even on a measly little personal blog) scares the perfectionist in me. Also, a fear of running out of things to say or being totally boring (so *ahem* blogging failure, I guess...) lurks in my brain too. However - all of that silly, self-conscious, stuff aside - I would like to blog in order to reciprocate that kindred-spirit feeling I get when reading someone's post that looks like it's been taken straight out of my brain. :D I love getting to know people like you who have similar quirky/nerdy/not-exactly-the-norm-for-our-girls-our-age interests. So yeah, we'll see happens. :D I'll be sure to let you know if/when I do start one!